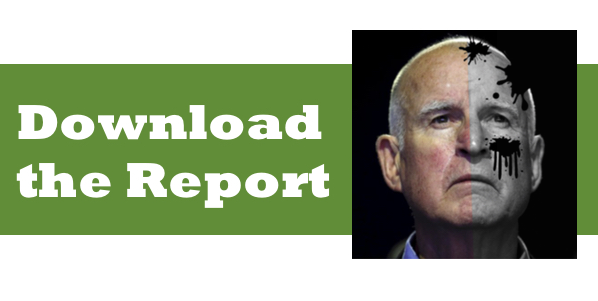 This groundbreaking Consumer Watchdog report investigated California Governor Jerry Brown's environmental record since he assumed office in 2011. The report focused on seven environmantal issues that face the state, and provided a grade for Brown's actions on each topic. 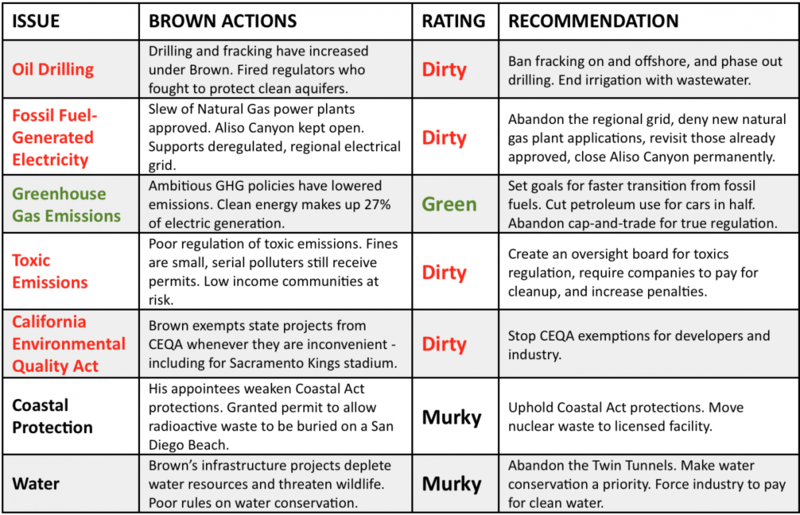 Brown's track-record shows that on most of these issues, he is not nearly as 'green' as he claims to be. The following groups concur with the report's analysis, conclusions, and recommendations: Food & Water Watch, Physicians for Social Responsibility-Los Angeles, Rootskeeper, Powers Engineering, Basin & Range Watch, Aguirre & Severson LLP, Public Watchdogs, the Southern California Watershed Alliance, the Desal Response Group, Restore the Delta, and Committee to Bridge the Gap.